Molly White – as portfolio analyst, is responsible for analysis and reporting on investments and conducting property site inspections. Before joining Covenant Capital Group, Molly spent the previous two years working with Medical Reimbursements of America, Inc. as an Implementation Project Manager, where she managed and developed specialized workflows to realize additional revenue for hospitals and health systems nationwide. 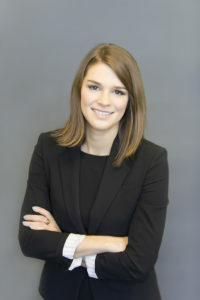 Molly holds a Bachelor of Science in Biology from the University of Georgia (2015).